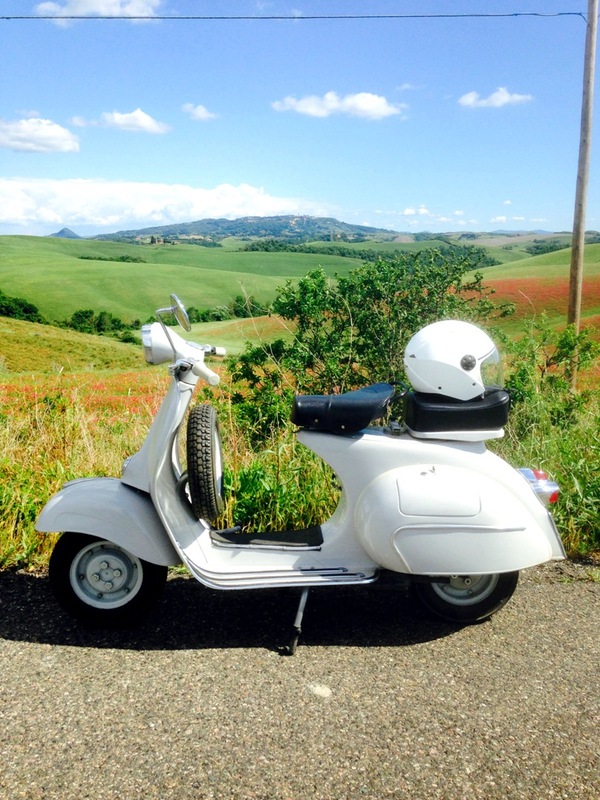 Some people do not know that the world famous Vespa scooter is produced by the company Piaggio, whose premises are located right in the middle of Tuscany, in small a town called Pontedera, near Pisa. 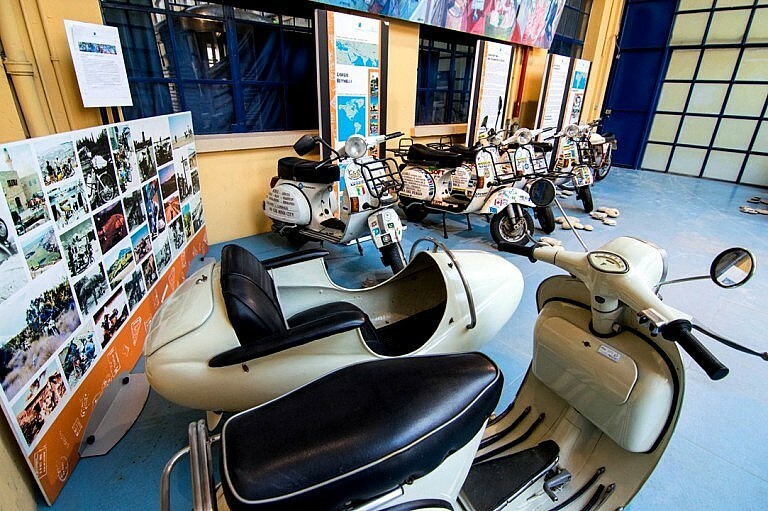 In some of the historical premises of the company, some local institutions inaugurated the official Vespa Museum a few years ago. 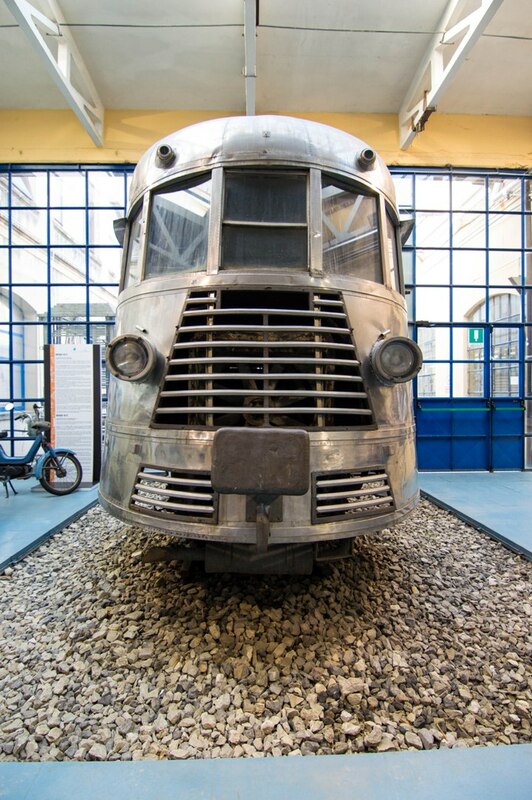 Arianna & Friends brings you to visit the most interesting industrial museum of Tuscany. 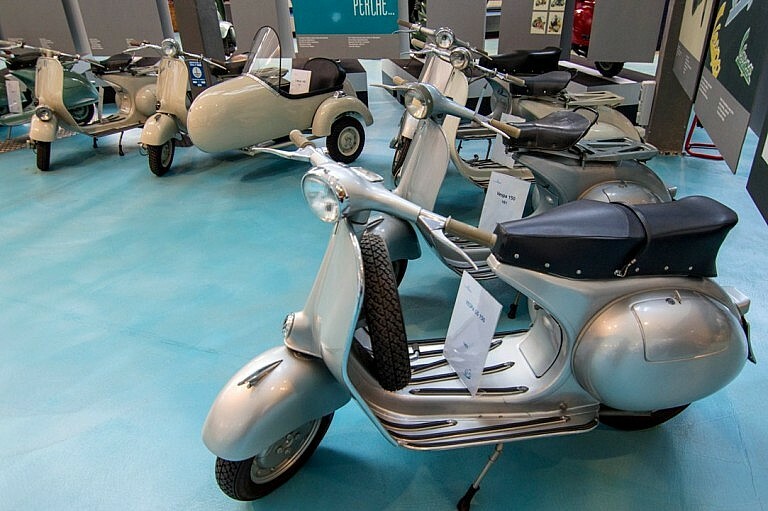 An English speaking tour leader (also German, French, Spanish and Russian available) meets you an agreed meeting point in Pontedera, and leads you for a two-hour tour through the history of the company Piaggio, producer of vespas. 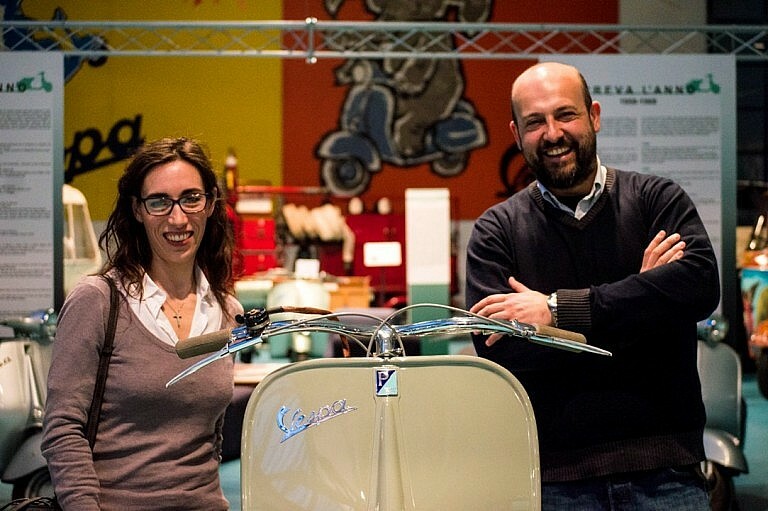 The visit starts from the boulvard Rinaldo Piaggio, a main street of Pontedera, where you have an introduction to the recent history of the town, so tightly related to the destiny of the Vespa scooter. At the museum we will go through the history of the company beginning with the historical archive. 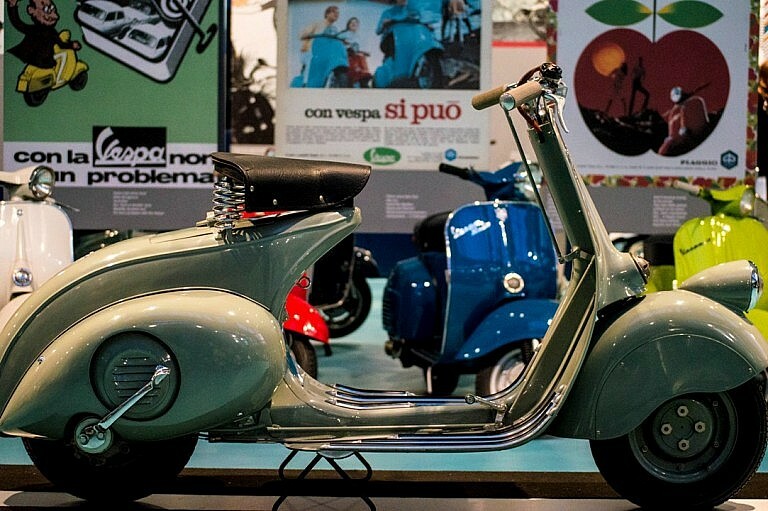 The Piaggio company was founded in the second half of the 19th century and has followed all the stages of the contemporary Italian history, so through the exhibition you will understand the development of the nation in its last 150 years. Following the archive is a visit to a former working shed of Piaggio, where many old models of the famous scooter and other vehicles are exhibited. Each model is accompanied by interesting stories and legends in which you can find a lot of the local character of Tuscany. 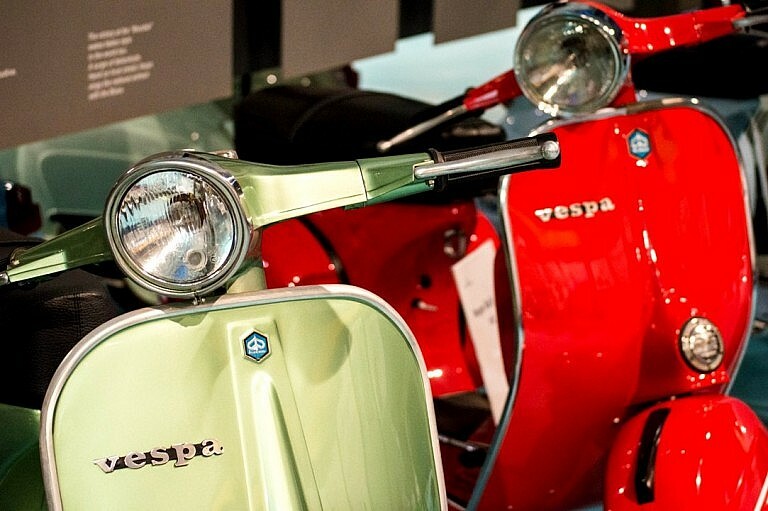 At the end of the visit you can browse hundreds of stylish goods of offical Vespa merchandise at the museum shop. After visiting the museum you can enjoy a short visit to a small artisanal chocolate shop in Pontedera, where a local maitre chocolatier creates fancyful chocolate delicacies. Here you have the chance to taste some delicious chocolate creations. The shop is in a large pedestrian area where you can enjoy a shopping walk and admire Italian made clothes, bags and shoes. 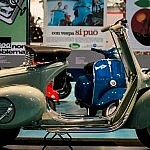 The Piaggio Museum is an ideal attraction to be included in one of our Vespa Tours in the rural area around Pontedera. 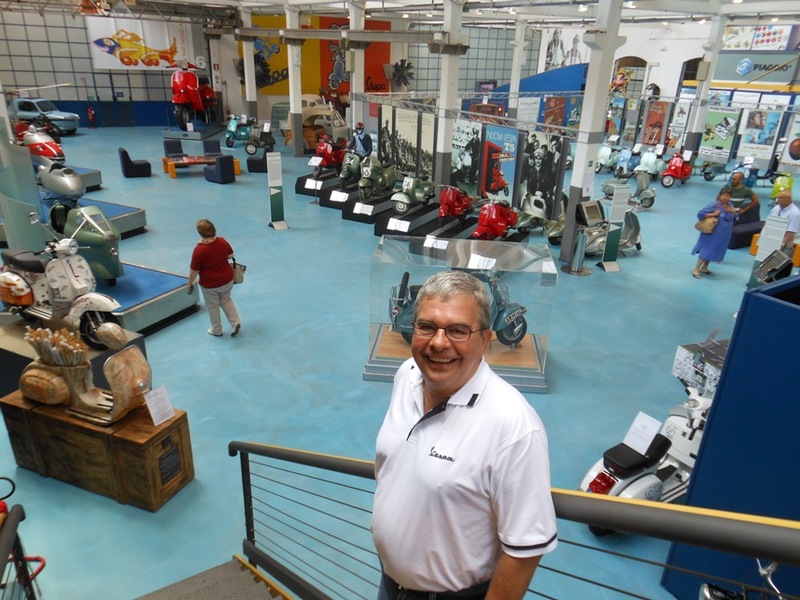 This is an email we receivedfrom Gawie, who visited the museum of Vespa in Pontedera with Massimo. 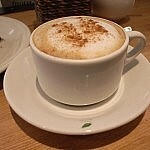 Herewith the promised photo – yours will be send under separate email. 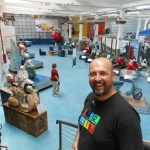 Thank you once again for the great day at the museum and history lessons I will never forget! Kind regards and hope to see you again one day! 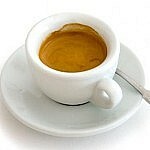 This is an email we received from Rainer after a series of day tours with Massimo. Trix and I wanted to thank you for the lovely two days that you showed us around beautiful Tuscany. We both enjoyed every moment of it. Could you send me the name of the hamlet (villa) that we spent time in after the Vespa museum and also the name of the farm with the cheese making. We have reached rainy Florence and will be flying out in a few hours. and we enjoyed it very much. Many thanks for making the arrangement. We wish to share the attached picture show with you. 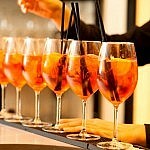 Although I was in Italy on a group tour, I was able to take off on the odd couple of days and do my own thing. 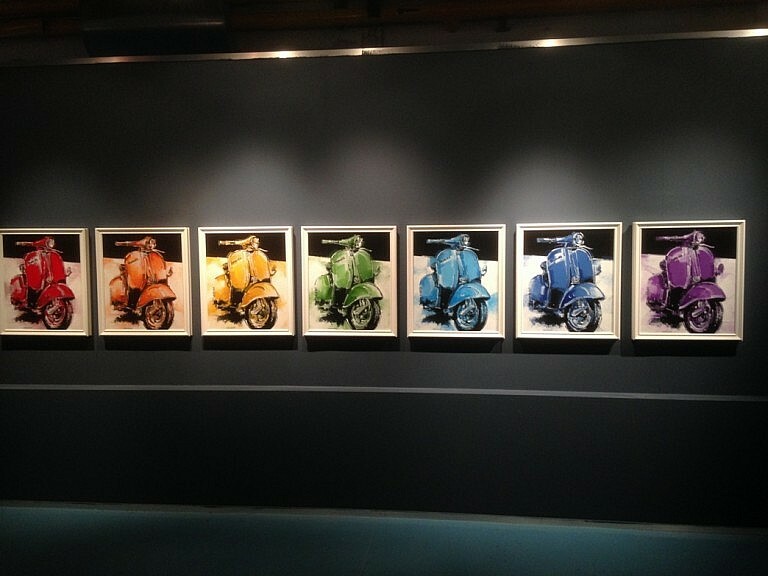 An absolute highlight was being taken throught the Vespa Museum by Massimo of Arianna and Friends. Massimo was waiting at Pontedera Station, and had given me excellent instructions on how to get there. We spent nearly 3 hours at the museum. Massimo translated what the guide was saying, and , being from the area for so many generations, was also able to share his family stories too – which were fascinating! 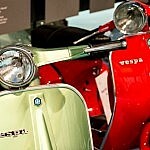 I own a vespa, so was delighted to be able to see this iconic plant. 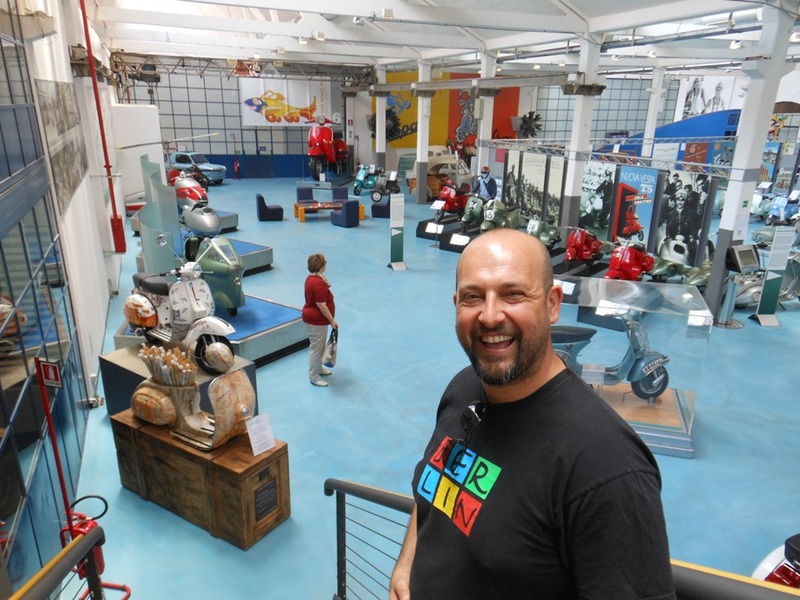 But there were 4 other people on my tour who wish they had known about the museum as well. Thank you Massimo for an unforgettable day! Allora, I am back in Hobart, but my mind is still in Italy. My Vespa was indeed waiting patiently, but demanded a new battery before I could ride her. I did indeed miss her! 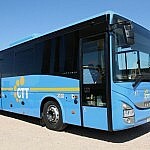 Your tour really was excellent, and I would be delighted for you to use my comments on your website. I hope that Marta keeps her job at the Museum. 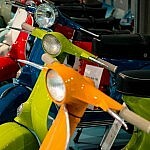 I thought she must have been working there for 10 years or more – such was her wide knowledge of Piaggio. Being an Australian, I am inherently bad at tipping. Aussies either tip too much, not enough, or at the wrong time. 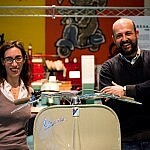 I did offer Marta a tip, but as she worked for Piaggio, she said it was not necessary. When you see her again, could you please pass on that I do hope I didn’t offend her? It was such a wonderful day, and I really did get a lot out of all the information. I loved the “Tricked Up” phrase “Truccata”. Back in the 70s, all the BEST mechanics were Italian. And the reason they were the best was that they could always “Trick Up” cars and bikes. Now I know where that phrase came from! Again, thank you so much Massimo. I look forward to being able to do more tours with Arianna and Friends. This tour takes place in the town of Pontedera, between Pisa and Florence. 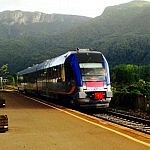 Unless differently specified, the meeting point with the guide is at the train station of Pontedera. Detailled instructions will be provided. Available all the year through, from Tuesdays through Saturdays. Available every second and fourth Sunday of the month. The destination reached during this activity are in Pontedera, a town that can be reached by public transport like bus and/or train.